 From our conveniently located offices in Burlingame, we handle cases in Alameda County, San Francisco, Oakland, San Jose, Santa Clara, San Mateo and all surrounding areas. Sarrail, Castillo & Hall, LLP provides thorough, professional service. We excel at the most complicated personal injury and automobile accident cases. We have unparalleled knowledge of medical malpractice claims involving serious brain and other catastrophic injuries. Our attorneys have experience with all types of auto accidents. We act for clients who have been involved in car, motorcycle and truck accidents. We deal with claims involving pedestrians and bicycle accidents. We also cover litigation related to unsafe roads and driver fatigue. Sarrail, Castillo & Hall, LLP serves both individuals and insurance carriers. We cover all areas of employment law for employees and employers. Our employment law team advises on employment contracts and best practices, severance, discrimination, and wrongful termination. Our employment law attorneys are seasoned litigators and also use alternative dispute resolution methods such as mediation and arbitration. We act for homeowners, developers and insurers in cases involving construction defects. Our litigation lawyers take a pragmatic approach to solving your construction defect issue within the strict timeframes stipulated by law. Your first consultation with us is always free. We assess your case, advise on the merits of your claim or defense and let you know if a contingency fee arrangement is suitable. Call 650-513-8899 or contact us online to make an appointment to see one of our experienced lawyers at our offices in Burlingame. We visit clients in their homes or in the hospital if they are unable to come to our office.